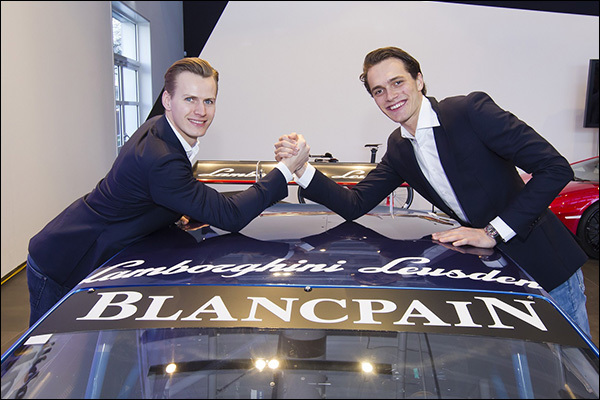 Jeroen Mul and Max van Splunteren have been selected for the Lamborghini Squadra Corse GT3 Junior Team and will contest the 2016 Blancpain GT Series Endurance Cup with a Huracán GT3 run by Attempto Racing. 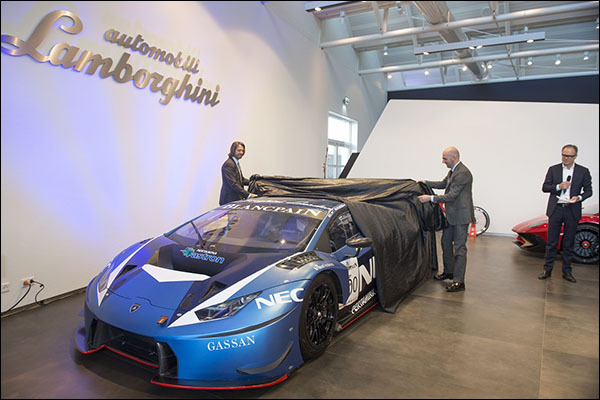 Stéphane Ratel (above) was in Leusden, Netherlands to help unveil the effort for the two young Dutch drivers with the Lamborghini Huracán GT3 revealed in the livery of main sponsor NEC. 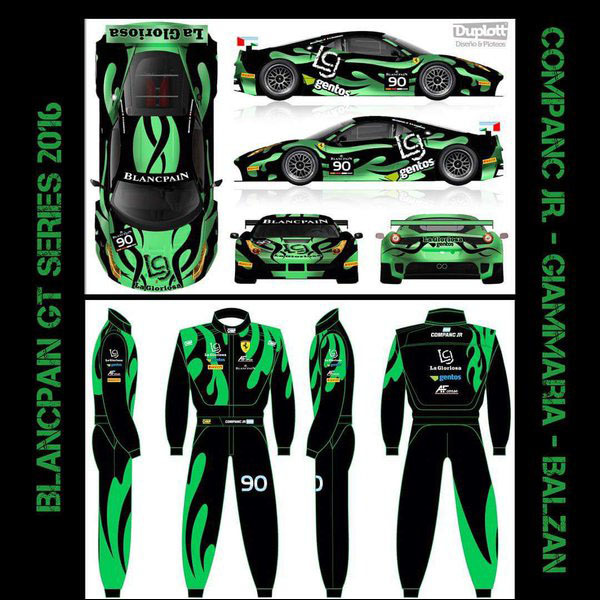 Ezequiel Companc Jr, 2013 Italian GT Champion Raffaele Giammaria and 2013 Grand Am GT Champion Alessandro Balzan are set to contest the 2016 Blancpain GT Series in an AF Corse entered Ferrari 458 GT3. 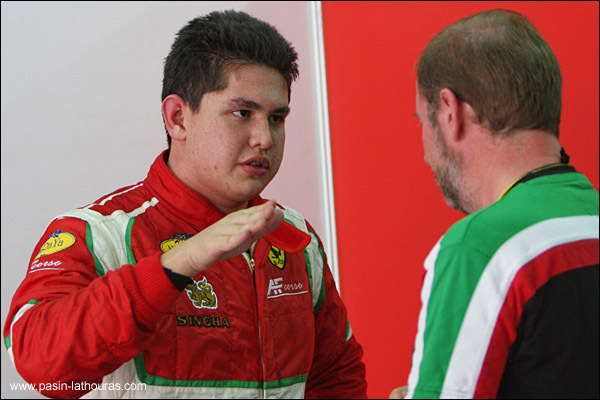 Pasin Lathouras is set to be part of AF Corse’s Blancpain GT Series Endurance Cup plans this year; the Thai will drive a new Ferrari 488 GT3. 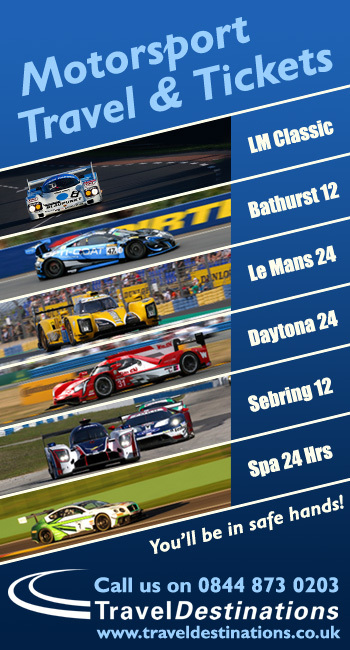 This will be the 22 year old’s third season racing in Europe. He was Ferrari Challenge Asia-Pacific Vice-Champion in 2012 and Champion in 2013 before he switched continents, competing in the British GT Championship in 2014 and then International GT Open in 2015. 2015 saw Lathouras finish as runner up in GT Open and take the Pro-Am win at the Spa 24 Hours.